The Namesake is on its way! Pre-order NOW from Amazon, Barnes & Noble, or pretty much any online bookseller! My novel has been officially announced on Publisher’s Marketplace! The publishing house, Merit Press, is a brand new imprint of F+W Media, publishers of Writers Digest, the Everything book series, and popular crime fiction imprint, Tyrus. THE NAMESAKE is one of Merit’s five inaugural novels; our editor is Jacquelyn Mitchard, author of The Deep End of the Ocean and several other acclaimed works. Here’s the PM blurb; cheers to my amazing agent, Victoria Marini! Young Adult: Steven Parlato’s THE NAMESAKE, a young man struggling in the wake of his father’s suicide believes that uncovering old family secrets will give him insight into the tragedy; hoping to find answers to questions about his father’s history and his own future, he and his best friend shine a light into the past . . . realizing too late that some secrets are best kept in the dark, to Jacquelyn Mitchard at Merit Press, by Victoria Marini at Gelfman Schneider. Hi Faith! Thanks for checking in. The Tassys were awesome, and I really enjoyed your work, too, so rich in historical voice without sounding at all forced – no easy trick. 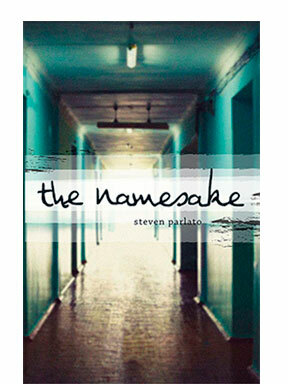 It’s looking like an October release for my novel, which is now known as The Namesake<. I don't have a definite date yet, and can't even officially announce until the imprint does a press release, sigh. Still, it's very exciting. I just sent in final rev with all copyedits addressed. And how is your writing? Any news? Although online pre-ordering for The Namesake is now active, the October release date mentioned above slid into January, January 18th to be exact! That’s good news, actually, because it’ll give me time to prepare – and it falls during winter break from teaching, so . . . here’s to the new year! Awesome Steve! I love your poem also. So heartfelt! Thanks, Coleen. I was floored by my student’s experience, and sometimes the only way to respond is through a poem. I’ll be posting more poetry – and some artwork – soon!